Why pay retail? Buy straight from the wholesale distributors! 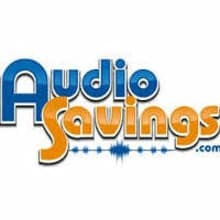 Buy from AudioSavings and save over 40-60% off retail on all your audio and electronic needs. When you buy from AudioSavings, we cut out all of the middle men and therefore are able to offer the most competitive pricing. We promise to take care of every customer before, during, and after your purchase to insure a good experience for you. Now it is easy for you to buy the audio and electronics you need at the wholesale pricing you deserve! Our goal is to satisfy all our customers by offering the best possible prices, the friendliest and quickest customer service, and a great selection of great products. All orders placed before 1:00 PM EST will ship same day with a tracking number. There will ONLY be Restocking fee if parts are missing, or the item(s) cannot otherwise be sold as new. For defective items that are returned for replacement or exchange, there will be no restocking fee.